Smart Forfour Running Costs, MPG, Economy, Reliability, Safety | What Car? Unlike most rivals, all but Brabus versions of the Forfour sit below the magic 100g/km mark for CO2 emissions company car tax is affordable. 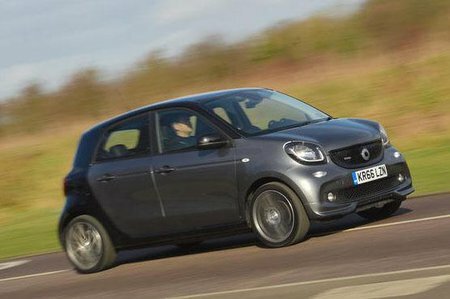 The Renault Twingo and Smart Forfour are essentially the same cars and use the same engines. When we carried out our True MPG real-world economy tests on the Twingo, we found that the more powerful 0.9-litre engine was more economical than the 1.0-litre, and offered slightly better economy than its rivals, too. We’d be surprised if the same doesn’t apply to the Smart Forfour. The Forfour Electric Drive costs virtually nothing to run, and has an attractive list price compared to other electric vehicles. It undercuts the Nissan Leaf and Volkswagen e-Up, although it remains an expensive option compared to a fuel-powered city car. It’s also pricier than some versions of the bigger Renault Zoe. The range of the electric version is limited though; it offers 100 miles from fully-charged, but, in the real world, this will be closer to 75 miles. Venture onto the motorway and this falls further unless you don’t mind getting overtaken by trucks. Since most private buyers are likely to finance their new Smart on a PCP deal, its list price assumes less importance. However, it’s worth bearing in mind that if you are buying outright, the Hyundai i10 and Volkswagen Up are cheaper. On the other hand, the Smart should hold its value better. Over three years the Smart is slightly more expensive to service than the Up or i10. You can buy a service package for up to four services, though, with the option of spreading the costs monthly, or paying in one lump sum. Entry-level Pure models are a bit sparse so we think the second rung Passion makes the most sense. For example, you get plenty of useful features such as climate control, Bluetooth, a USB socket, steering wheel-mounted controls, a 50/50 split-fold rear seat, and cruise control. Prime models focus on luxury kit, such as a panoramic glass roof and heated leather seats, while the sportier Proxy gets 16in wheels and lowered suspension. Brabus versions come with even sportier suspension settings, a sports exhaust, 17in alloy wheels and a panoramic roof. A six-speed dual-clutch automatic gearbox is standard as well. 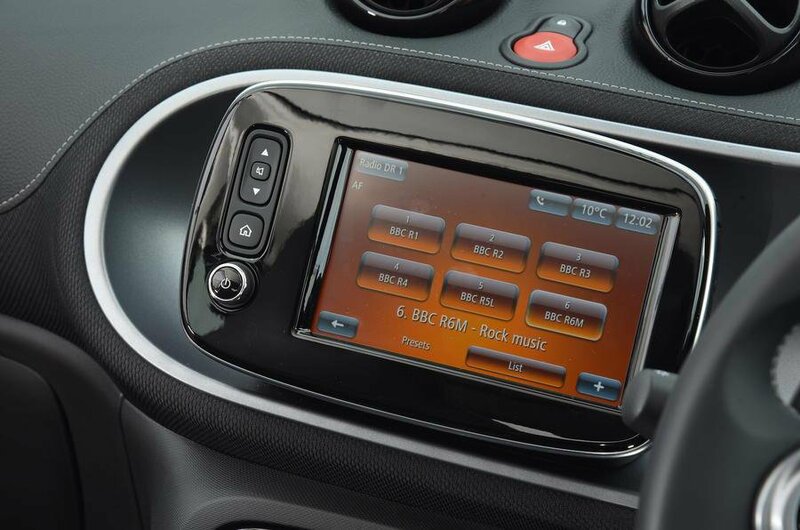 Whichever version you go for, a digital radio is an optional extra. We recommend choosing the optional Premium pack that adds a 7.0in touchscreen with sat-nav, rear parking sensors, and a height-adjustable steering wheel and driver’s seat. In our most recent reliability survey, Smart finished in the middle of the list. In the same survey Volkswagen was a few places behind it, while Hyundai proved to be the most reliable of the three. Every Forfour comes with Smart’s three-year unlimited mileage warranty, a 12-year corrosion warranty, and three years’ roadside assistance. Unlimited mileage is an impressive feature but most owners are unlikely to do more than 35,000 miles on a PCP plan. Instead, it would have been good to see Smart follow Kia’s lead with seven years’ cover, or Hyundai’s five. Beyond three years, Smart will add an additional year’s roadside assistance when you have the car serviced at an authorised dealer. Every Smart Forfour comes with front and side airbags, plus a driver’s knee ’bag – a feature that’s not offered on either the VW Up or Hyundai i10. As well as these, it has stability control, crosswind assist, hill-hold control and rear Isofix child-seat mounting points. Optional equipment includes a system that alerts you if you’re about to hit the car in front, and lane-keep assist. 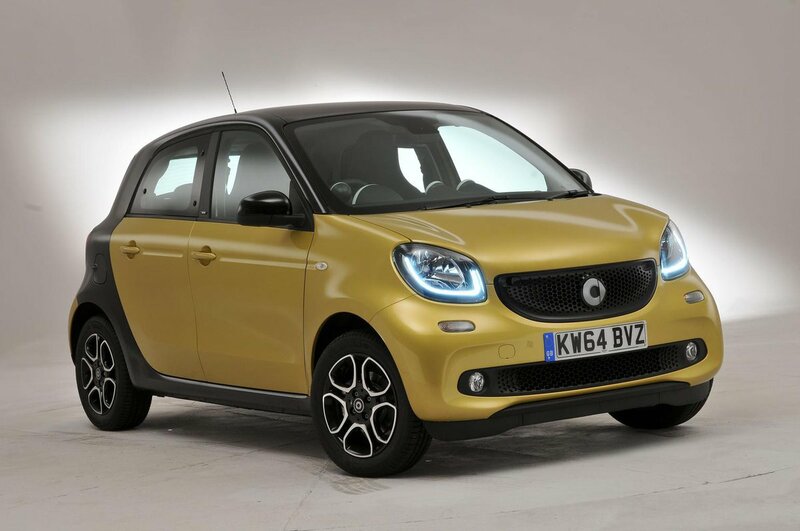 Euro NCAP gave the Smart a crash-protection rating of four stars out of five. The Hyundai i10 also has four stars but the VW Up has five. 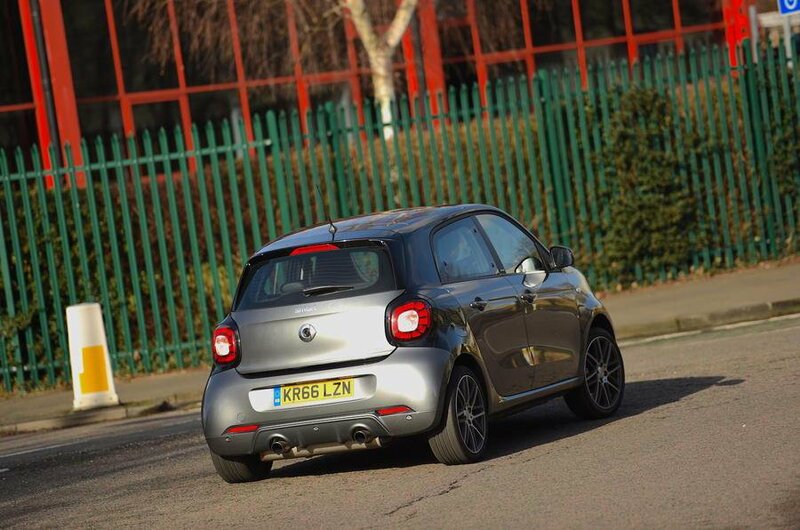 Every Smart comes with an alarm and immobiliser. Security experts Thatcham tested the Forfour and gave it the maximum five stars for resisting theft, but only three out of five for resisting being broken into.